The Newton collection is the latest in a long line of Cane furniture ranges from the Daro design house. For hours of relaxation Daro have used a four pole arm design to maximise comfort. The robust looks are complimented by superior quality cushions from fabrics available from Daro's comprehensive swatch. 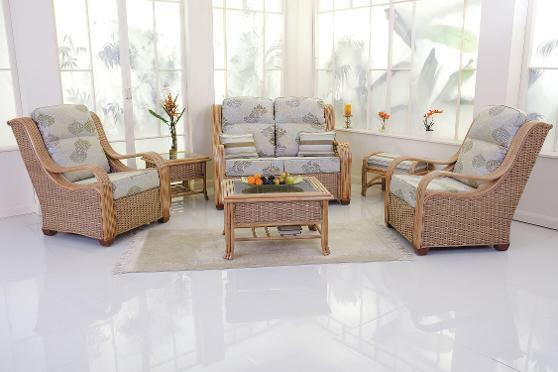 Comprising of chair, 2 seat sofa, side and coffee tables, this range will provide many years of service. Shown in Natural Wash finish with Orlando and Orlando Stripe fabrics.